A type must be created for tickets and resources before they can be used. You must add a super type before adding a type. Super types are the high level selection for a new request. Ticket Type Ex. Technology (super type) > Technology Hardware (type). After creating a super type, you can assign a type to a super type. 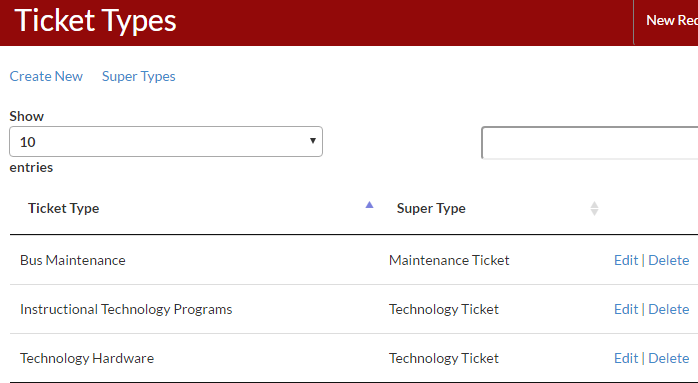 When creating a ticket type, you have the option to make that particular ticket type public. This will show under the Organization area and Public Links. You will select the super type this ticket will go under (as discussed above). You will also select what users will receive alerts regarding these types of tickets. 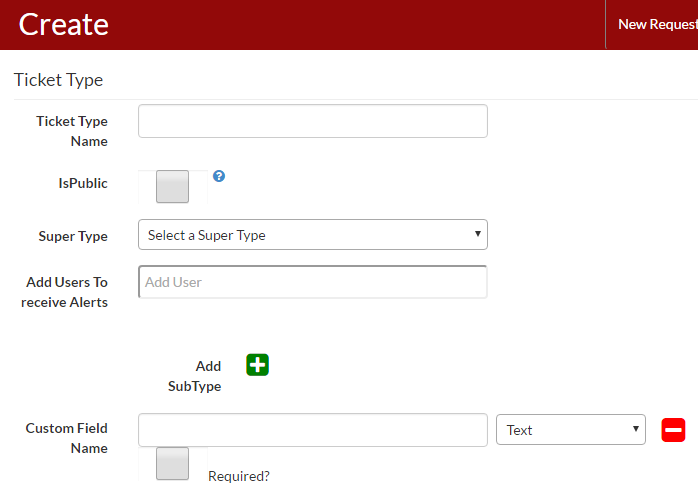 You can also add additional sub types if you want to get more specific. You can also add custom fields and make them required – these are questions that the user will answer when creating a new ticket request.